Simon van der Stel the Governor of the Cape was granted a 2454 hectare farm in the Constantia valley back in 1685 by the VOC company. (Dutch East India Company) After acquiring the farm he built himself a double storey house on it. 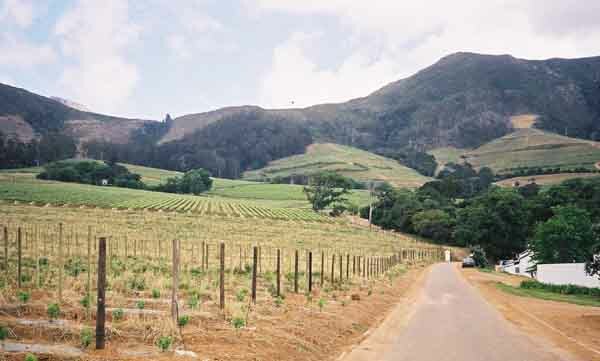 The farm was utilised for the planting of vegetables and viticulture. Today they are still cultivating vegetables and grapes today nearly 300 years later. Most of the produce from the farm was sold to passing ships. Not only did van der Stel farm grapes and vegetables but also beef which obviously was also sold to the ships that called at the Cape. In 1716, after his death the farm was divided into three portions, two of which were sold off. When he took over the farm he built a new wine cellar and renovated the manor house, adding gables, sash and casement windows and a higher pitched roof. His main efforts were however in the field of winemaking. 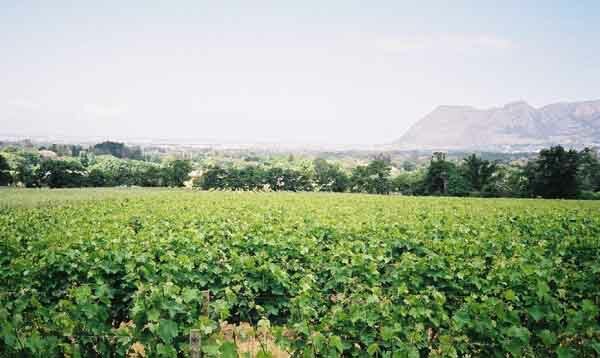 During his tenure he improved the vineyards and introduced his own wine making methods to the farm. He was very succesful and his wines became world fanmous. After Hendrik's death in 1799 his son Hendrik took over the farm and continued where his father had left off. The wines were so good that the farm became the official supplier of wine to Napoleon while he was on on St Helena. 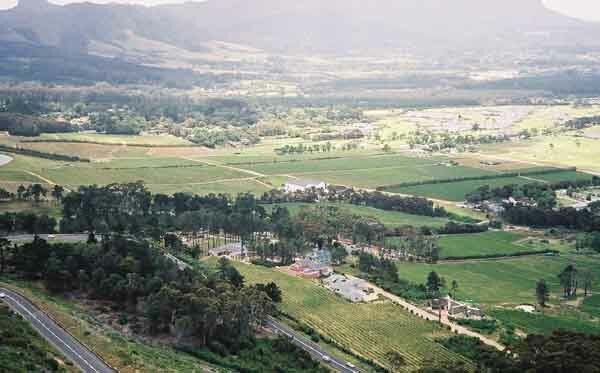 In 1823 the farm was purchased by Jacob Pieter and it officially became known as Groot Constantia. As it turned out he was the last private owner of the farm. In 1885 after Jacob's death and a plague of phylloxera it was decided to auction the farm and it was purchased by the Master of the Supreme Court who then utilised the farm as an experimental farm. Unfortunately during this period the manor house was severely damaged by fire. It took from 1927 to 1952 to rebuild and refurbish the house with art works and furnishings that were especially purchased for the purpose. 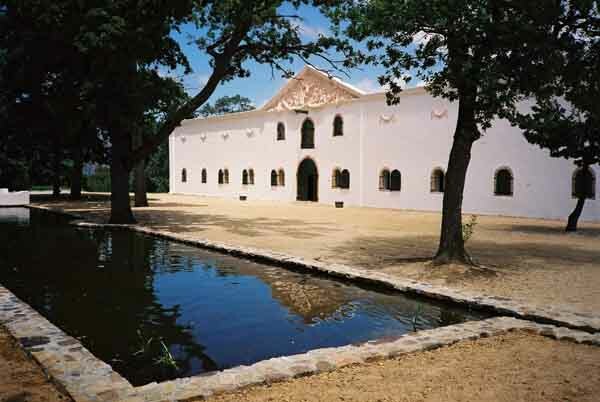 After 1952 various organisations tookover the running of the farm until finally in 1993 the Groot Constantia Trust which now owns and represents the farm in its entirety was established. The farm is now managed as a company without gain and its main directive is to preserve the beautiful and historic estate for posterity. The wines produced on Groot Constantia are well known, and the estate has won many awards for its excellent red and white wines over the years. 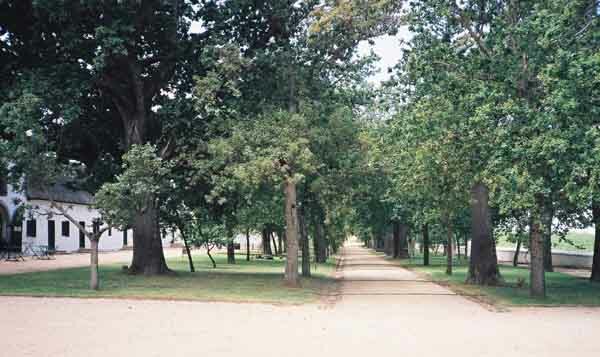 The farm has retained its character with beautiful oak trees lining the road up to the manor house. The old Cloete wine cellar today houses a display of drinking vessels and wine making equipment from times past. There are also a number of restaurants on the farm where one can enjoy some excellent local quisine.Of course a visit to a wine farm is not complete without tasting the wines. Wine tasting is available every day of the week with hours differing slightly between winter and summer. 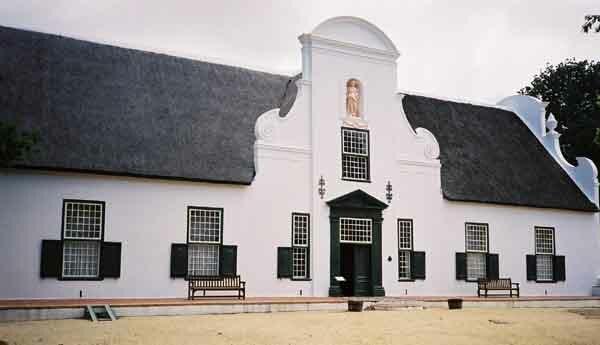 When visiting the Cape do not miss visiting Groot Constantia. It's lovely sitting outside the Manor House under the large oak trees and just drinking in the atmosphere.